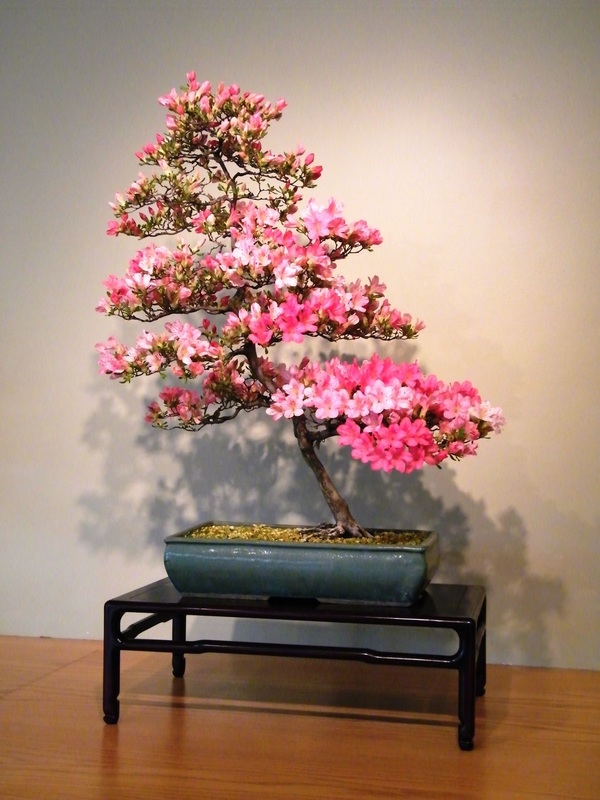 The March newsletter of the Mohawk Hudson Bonsai Society can be downloaded here. 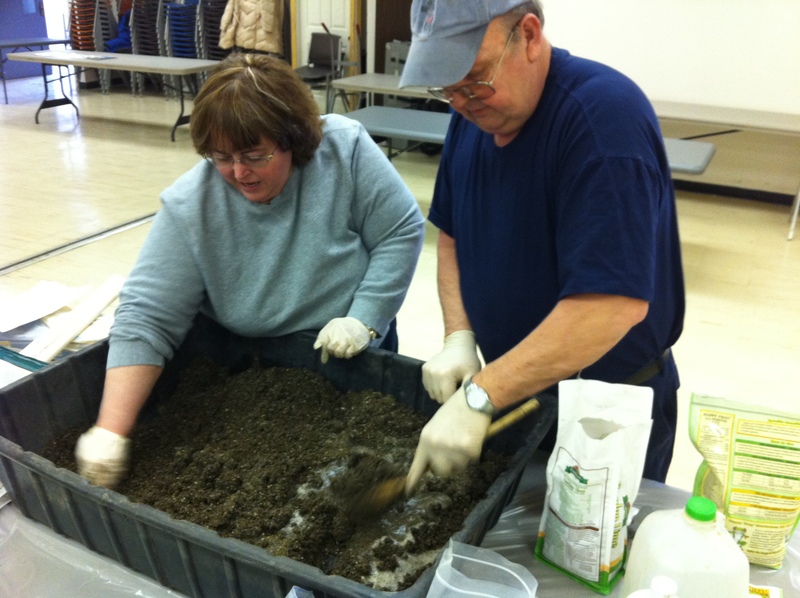 It contains a heads-up for upcoming club events like slab planting on March 30, tropicals with Mary Madison on May 18, a potentilla workshop on June 29 and outdoor stand building on July 27. Winter WILL eventually go away so plan for a busy spring. 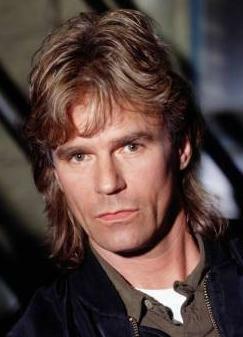 Angus MacGyver would create bonsai with duct tape and a Swiss Army Knife. We have more options, but innovative techniques are a big part of bonsai and MHBS members will share theirs at the Feb. 23 club meeting in Voorheesville. Those techniques might come in handy as teams design trees by round robin. More to come on March 30 with slab plantings at PFM Bonsai. On April 14 a Roy Nagatoshi demo is planned. Mary Madison shares her encyclopedic knowledge of tropicals on May 18, Pauline leads a Potentilla workshop on June 29, and — now that we’re experts at building them — outdoor stand building happens at PFM Bonsai on July 27. 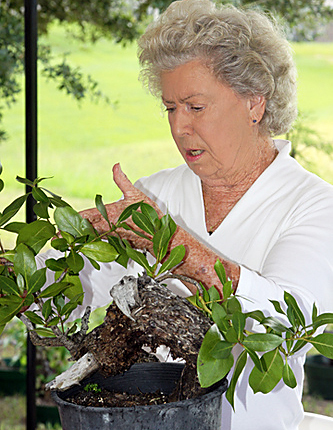 We know we love azaleas but sometimes we really do not know how to best work with them. Come and learn with David. He is a true expert in the horticulture and art of azaleas. So that we can learn before we work on our trees, we have set the lesson first at 11 AM to be followed by a brief time for BYO lunch and then the workshop at 1 or so. It is the ideal time of the year to reduce the soil mass by half so we will be doing that. Bring aluminum wire for this workshop please and your tools. UPDATE: David has 3 gal. Azaleas available for the workshop. Cost of the tree is $25, PLUS $30 for the workshop. Maximum of 10 people in the workshop, first come, first served. Email or call Pauline to register. Once you have registered mail our treasurer, Pieri, your check made out to MHBS to confirm the reservation ($55 for workshop AND azalea). Send to: Pieri Hayes 550 Columbia St. Ext, Cohoes NY 12047. Members whip up a secret poo ball recipe. 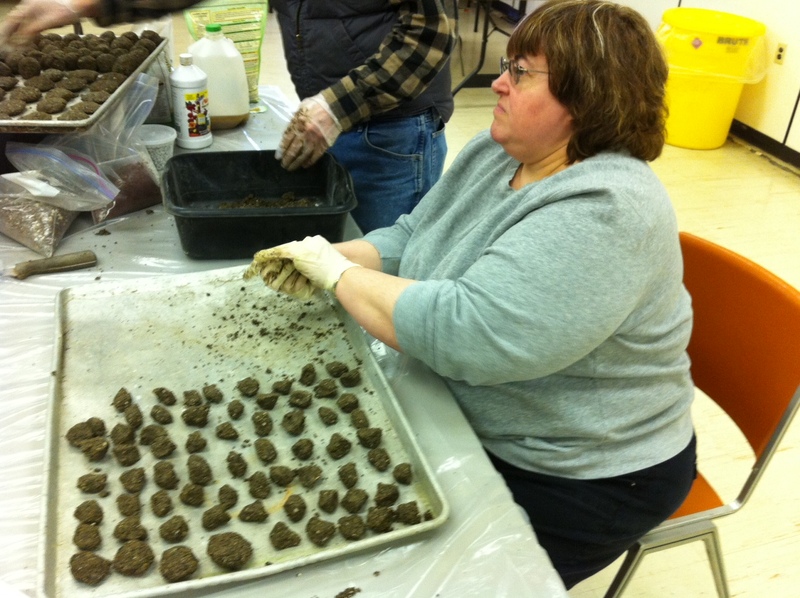 The aroma of spring wafted through the January meeting of MHBS as members whipped up a batch of poo balls for spring fertilizing.